Kylie Chan married a Hong Kong national in a traditional Chinese wedding ceremony and lived in Hong Kong for many years. 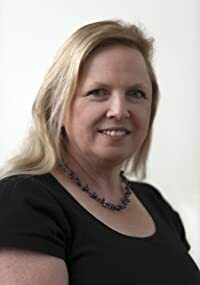 She now lives in Queensland with her two children. Read excerpts of her novels at Kylie Chan’s website. CLICK HERE FOR MORE TITLES BY KYLIE CHAN. Dark Heavens — (2006-2008) Publisher: When Emma Donahoe becomes a nanny to John Chen’s daughter Simone, she does not expect to be drawn into a world of martial arts, magic and extreme danger, where both gods and demons can exist in the mortal world. 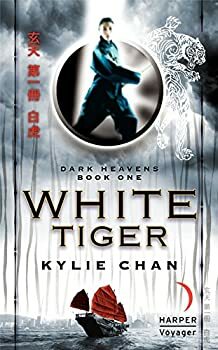 White Tiger by Kylie Chan sounded like a great departure from the usual urban fantasy fare. Set in Hong Kong, White Tiger incorporates Chinese mythology rather than the more trodden ground of European mythology. The plot sounded like fun, too. It centers on Emma Donahoe, an Australian woman who becomes a live-in nanny in the employ of John Chen, a rich Chinese widower with a little daughter. This scenario gave off a vibe of Gothic romance, a genre that is one of my guilty pleasures. But I was disappointed in White Tiger, despite really wanting to like it, and stopped reading at a little over 100 pages.